You can use a tenkara rod with western flies! 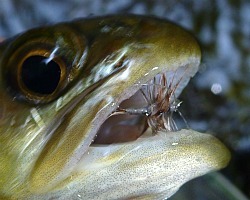 I recently saw a comment on a blog saying that the emphasis on using "tenkara flies" was turning off fly fishermen. It repelled people who might have been interested in tenkara but didn't want to give up the flies they've used for years. Also, there are more than a few guys out there for whom matching the hatch is a challenge that they enjoy - perhaps even the one thing about fly fishing above all else that attracts them to the sport. Guys, you can match the hatch with a tenkara rod. I know, all the marketing seems to be centered on tenkara not matching the hatch, about using only one fly to the exclusion of all others. 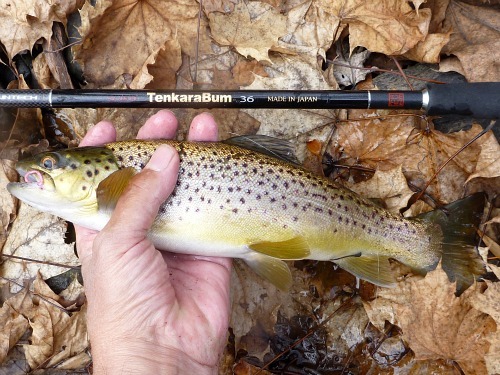 Well, here's the TenkaraBum approach to tenkara: Fish any flies you want. If you want to match the hatch, do so. If you want to fish size 26 midges in February and size 6 woolly buggers in June, do so. 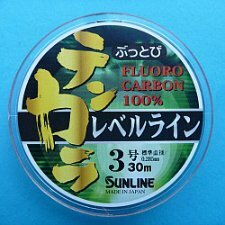 There are those who believe tenkara should be pure, that it should be done only as it is done in Japan. Some even liken it to an art form. I'm not them. Don't get me wrong. I love tenkara. I haven't used a fly rod and reel since I picked up my first-attempt-to-simulate-tenkara-with-a-crappie rod back in 2007. If anyone is counting, that's almost two years before tenkara was "introduced" to the US. I fish with tenkara flies....although not that often. Mostly I fish western flies - flies developed by Europeans to catch grayling and brown trout rather than flies developed by Japanese to catch Iwana an Amago. 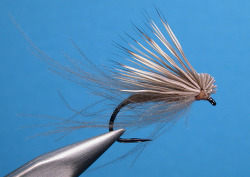 My "go to" fly is the killer bug, developed by Frank Sawyer - the same Frank Sawyer who gave us the Pheasant Tail Nymph. 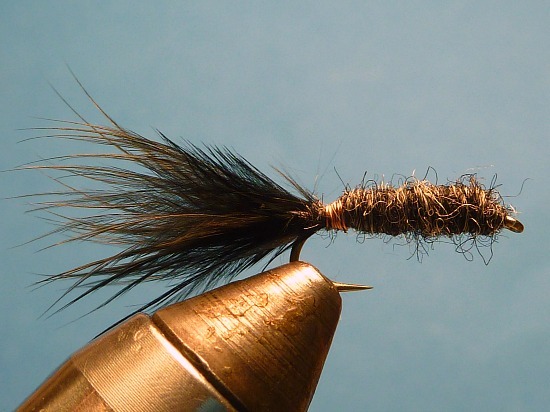 My "back up" fly is the CDC & Elk, developed by Hans Weilenmann to be an improvement on the venerable Elk Hair Caddis developed by Al Troth. 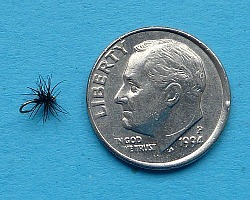 And don't think my fishing of western flies is because I don't fully appreciate the effectiveness of a sakasa kebari. They work, they're beautiful and I had a delightful dinner with Fujioka san listening enthralled to his theories of the origin of tenkara and tenkara flies. The point is that western flies work, too. I've never been much of a hatch matcher, but I can certainly understand how guys could get into hatch matching - and not just to catch more fish but as the challenge for which the rise, the take, the fish in the net is just the prize for having accepted the challenge and having succeeded. To throw all that away is to throw away the very foundation of Fly Fishing As We Know It. For many people it is asking too much. Way too much. I never bought into the "one fly" school of tenkara. Oh, you can do it. You can fish your entire life, all over the world, with nothing but the black bodied, brown hackled fly that Dr. Ishigaki uses. Well, heck, you can fish your entire life, all over the world, with nothing more than gray bodied, grizzly and brown hackled Adams fly. You'll catch fish, all over the world, with either fly. If you enjoy using different flies and picking out just the right fly to use on any given day, or stretch of stream, or during a hatch you certainly can. Tenkara rods work very nicely with western flies. Dries, wets, emergers, nymphs, bucktails, midges - you name it, you can fish it. 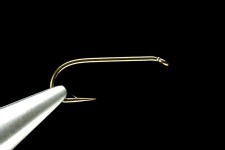 The light rod and light line make it harder to cast wind resistant flies, and the extremely flexible rod tip make it harder to get hook sets with weighted nymphs. A faster rod with a firmer midsection, like the TenkaraBum 36, makes casting wind resistant flies and getting good hook sets much easier. The Daiwa Keiryu-X rods or Suntech Genryuko rods, both of which are keiryu rods, work extremely well with weighted nymphs and wind resistant dries. For me, the attraction of tenkara is not the reverse hackled fly. It is the fishing with a light, sensitive rod; it's the drifts and fly manipulation that are only possible when your line is in the air rather than on the water and subject to drag; it's the fight of a fish that can't take line and is fighting the rod rather than the drag. All those things are still there when fishing a size 18 blue winged olive - or a hare's ear nymph - or a killer bug. And like I wrote quite some time ago now, I really am a bit surprised that none of the "one fly" adherents has declared that their one fly is a woolly bugger. It is without a doubt one of the greatest flies of all time. And if you don't tie it to big or too heavy, it works great with a tenkara rod. 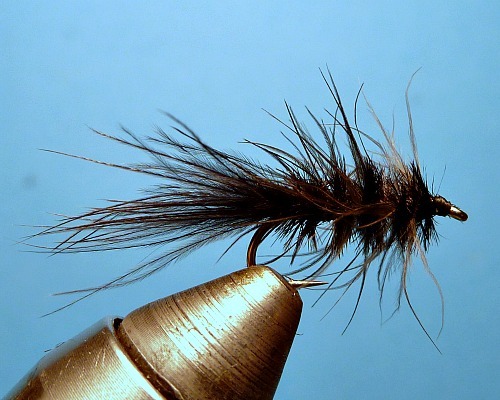 Starling, ostrich, marabou tenkara bugger. Of course, the Killer Bugger (a cross between a Killer Bug and a Woolly Bugger) seems to work just as well and is much easier to tie. Plus, you can get all the materials in a kit.